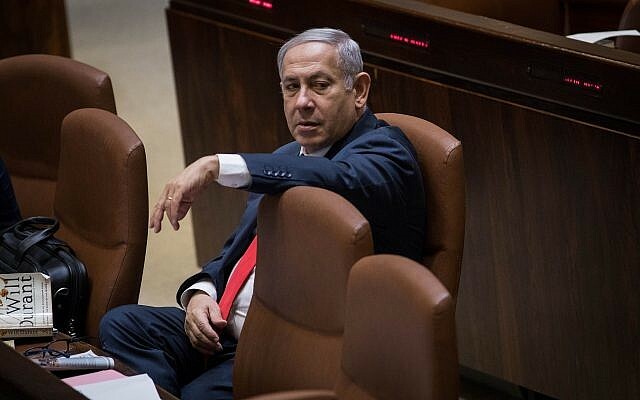 Lawmakers approved the law, which enshrines Israel as “the national home of the Jewish people” in the country’s quasi-constitutional Basic Laws, in its second and third readings, with 62 voting in favor, 55 opposed and two abstaining, after hours of heated debate in the Knesset chamber. While the coalition feted the passage of the law, members of the opposition decried it as nationalistic, divisive and a threat to democracy. 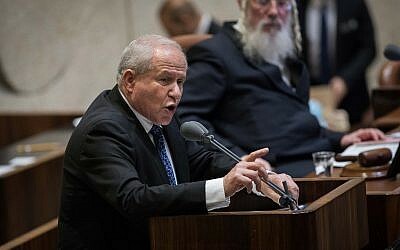 The law’s main proponent over the past few years, former Shin Bet head Avi Dichter, said it was a response to anyone in Israel who believes Jewish presence is temporary — referencing Arab MK Jamal Zahalka’s past claim that Arabs will outlast Jews in the country. “All you can be is an equal minority, not an equal nationality,” Dichter said. Dichter asserted, “Contrary to the disinformation and fake news that have flooded [the conversation], the Basic Law does not hurt Israel’s minority cultures.” He also claimed it does not detract from the status of the Arabic language. Critics have said that the law is discriminatory to Israel’s Arab and other minority populations. and needlessly provokes those minorities by underlining a preferential attitude toward Judaism. Outgoing opposition chief Isaac Herzog, the new head of the Jewish Agency, was more ambivalent, but expressed concern. A lone voice of dissent in Likud, MK Benny Begin said the legislation was not what he expected from his party, and warned that it could increase societal tensions and boost extreme nationalism. “The law has no mention of the word democracy or the word equality, and is wholly committed to brutish emphasis of ethnic supremacy, leaving no doubt that there are two types of citizenship — first-rate ones for Jews and second-rate ones for Arabs,” it said. The law also declares that Jerusalem is the capital of Israel, sets the Hebrew calendar as the official calendar of the state, and recognizes Independence Day, days of remembrance and Jewish holidays. 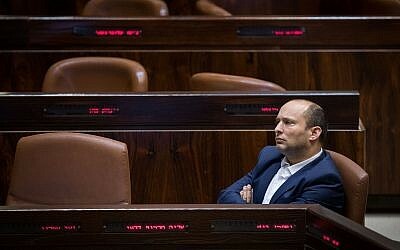 On Sunday, Netanyahu and Education Minister Naftali Bennett reached an agreement to cut a controversial clause that would have allowed the state to “authorize a community composed of people having the same faith and nationality to maintain the exclusive character of that community,” and replace it with a new clause celebrating “Jewish settlement” in Israel in general terms.